Green vegetables, including broccoli and cabbage, contain compounds that could prove to be a potent drug against skin cancer, researchers report. Experiments with mice suggest that these compounds, when combined with selenium, target tumors more safely and effectively than conventional therapies. Although human trials of the new drug are still years away, the researchers are hopeful that it could be delivered either intravenously, or added to sunscreen lotion. Previously, Robertson and his colleagues had demonstrated the therapeutic potential of focusing on the Akt3 protein in inhibiting the onset of melanoma. Looking for a drug to block the protein led the research team to a class of compounds called isothiocyanates, which are found in cruciferous vegetables (edible members of the cabbage family) and are known to contain certain anti-cancer properties. But any successful drug would call for impractically huge amounts of the compound, so the Penn State researchers rewired the compounds by switching their sulfur bonds to selenium. Researchers injected mice with 10 million cancer cells. When the rodents developed large tumors six days later, they were split into two groups and treated with either the vegetable compounds or the compounds supplemented with selenium. 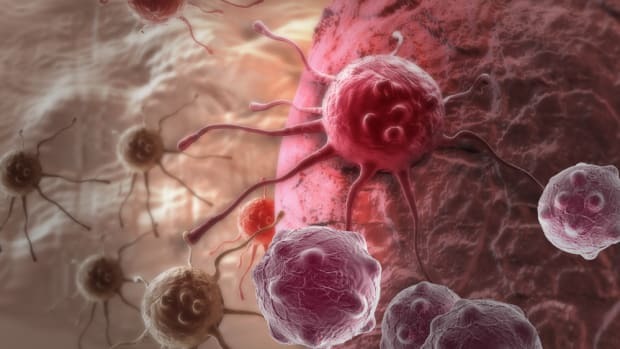 The selenium-enhanced compounds significantly reduced the production of Akt3 protein and reduced the growth of tumors by 60 percent, in relation to the treatments with vegetable-based compounds alone. In further tests, the selenium-enhanced drug worked better on some human melanoma cell lines than others, boasting efficiency rates from 30 to 70 percent depending on the cell line. Robertson, who has filed a provisional patent on the discovery, is convinced that the use of naturally occurring compounds that target cancer-causing proteins could lead to more effective ways of treating melanoma. “We have harnessed something found in nature to target melanoma,” said Robertson. “And since we only need tiny amounts to kill the cancer cells, it means even less toxic side effects for the patient. In recent years, several studies have suggested that green tea has certain anti-cancer properties. The tea contains high amounts of the antioxidant EGCG, which protects cells in the body, but research has been limited, and the exact nature of the anti-cancer mechanism in green tea and EGCG has yet to be understood. A new mouse model of melanoma has given researchers hope that they can better target malignant skin cancers in humans — with a promising combination of two drug therapies.